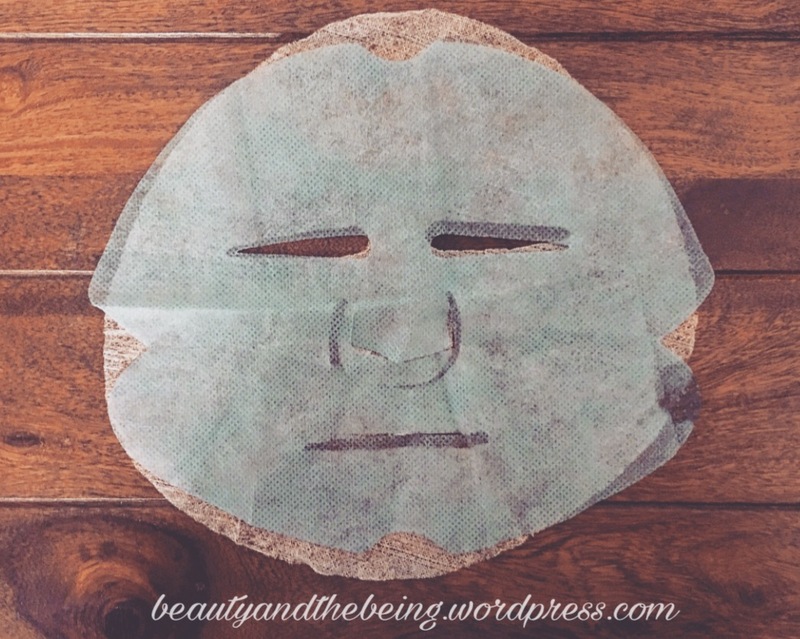 As you know I’m diving into the glory of facial sheet masks currently….loving them and trying tons of different ones to understand what suits my skin the best. Korean sheet masks are all the craze right now, but sadly for someone like me who lives in India, they’re not accessible very easily. 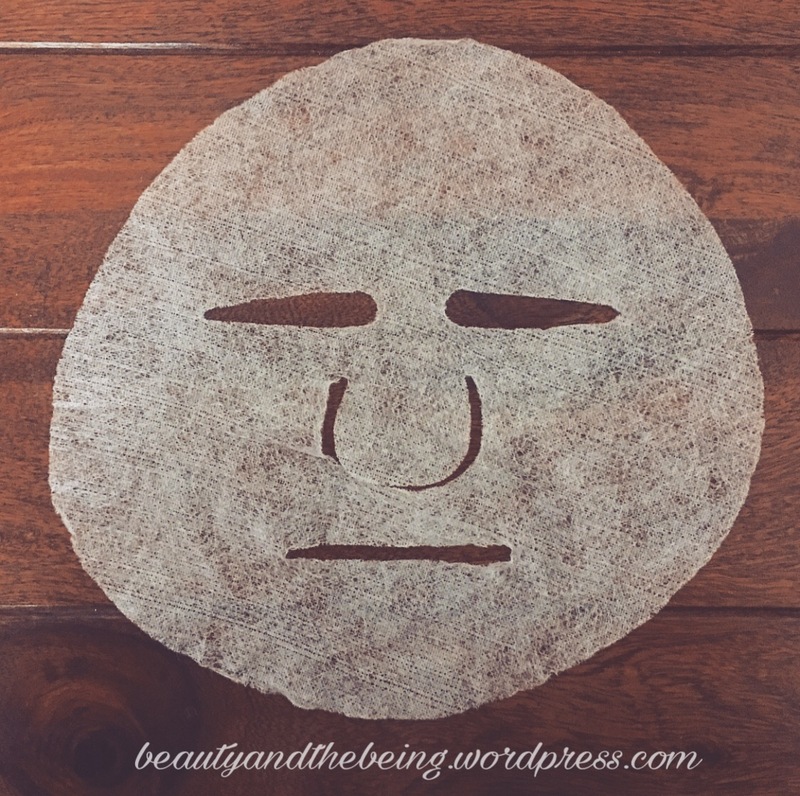 When I first started to read more about why this trend caught on fire so quick, all I wanted was to get my hands on a sheet mask to see what the hype was about. Don’t get me wrong…sheet masks are available on Amazon & eBay, but they’re so expensive (read overpriced) that someone who is just getting into them will probably not want to invest so much money in them…specially when you don’t know if or not it will even suit your skin. Hours after searching online, I came across MOND’SUB on Amazon & was really intrigued. The packaging looked amazing….the ingredient list was interesting & the variety was awesome. Sadly, when I Googled for reviews, only 1 came up… wth! The first couple of sheet masks I used from them, I LOVED and luckily today I’m getting a chance to collaborate with the brand! I’m going to be reviewing each of their different varieties of sheet masks & sharing with you guys my honest thoughts/opinions on them. Does it deliver? My thoughts? The packaging is pretty & so girly! When you open the pack, the sheet mask is folded neatly inside, drenched in essence. The mask is in-between a pearlised film & an outer blue fiber film, making sure that it stays safe & doesn’t rip as you’re trying to get it on your face. 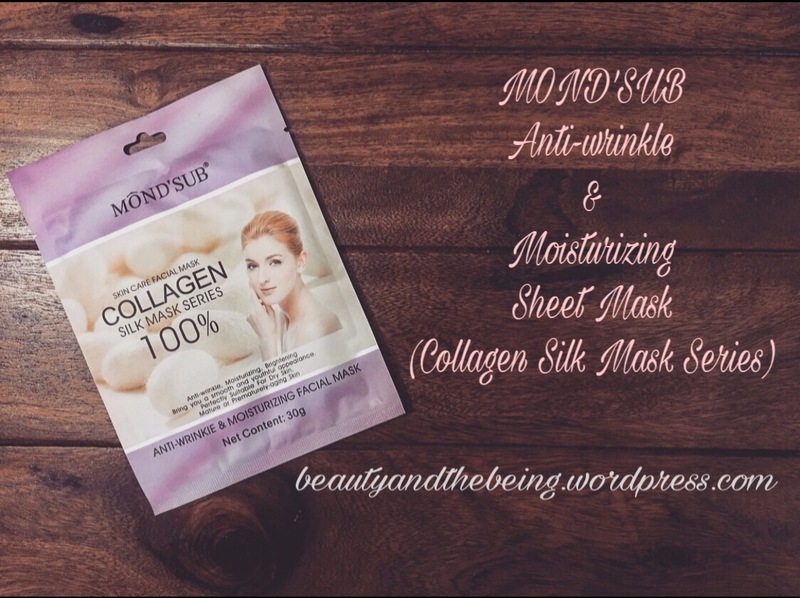 Another great thing is that the sheet mask has no scent to it, so perfect for those of you who are sensitive to fragrance in skincare. The sheet mask texture felt a bit different than the others, it was more porous (if that’s the right word) and held the essence pretty well, meaning at the end of 20 minutes when I removed the sheet mask, it still had a LOT of essence in it. There’s not too much essence leftover in the packet after you’ve applied the mask and neither does the essence drip everywhere….it is pretty thick in consistency. 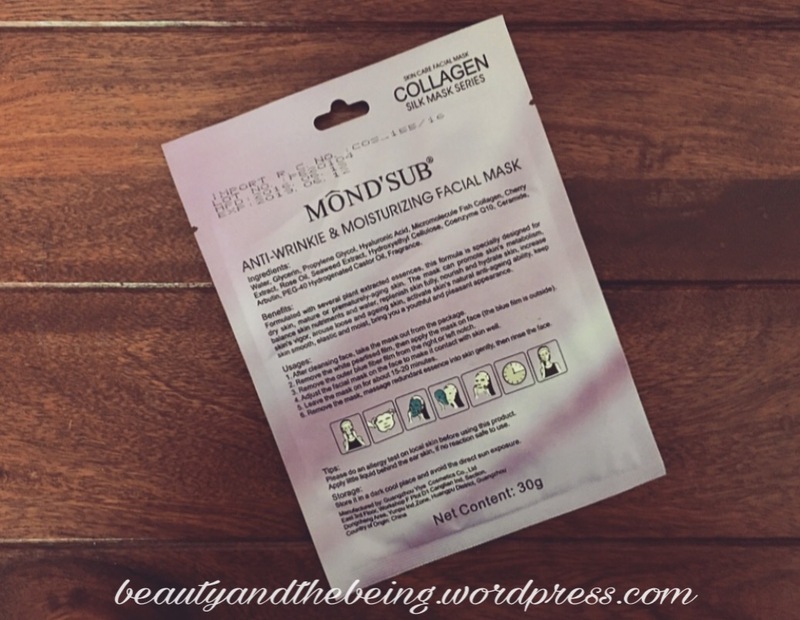 Lastly & most importantly, it really did feel like my skin was moisturised, brightened and lifted…I could honestly feel the difference in my skin. I really wish the eye & mouth holes were wider & bigger, because if you’re someone like me with big eyes, the sheet mask will poke you & feel uncomfortable. Having said that, I usually always lay down, shut my eyes & relax for 20 minutes, so not a deal breaker. But if you really get bugged with something like that, I would suggest just cut them out bigger with scissors before applying. The second not-so-great thing with this mask was that once I removed it, the essence leftover after patting my skin felt sticky. 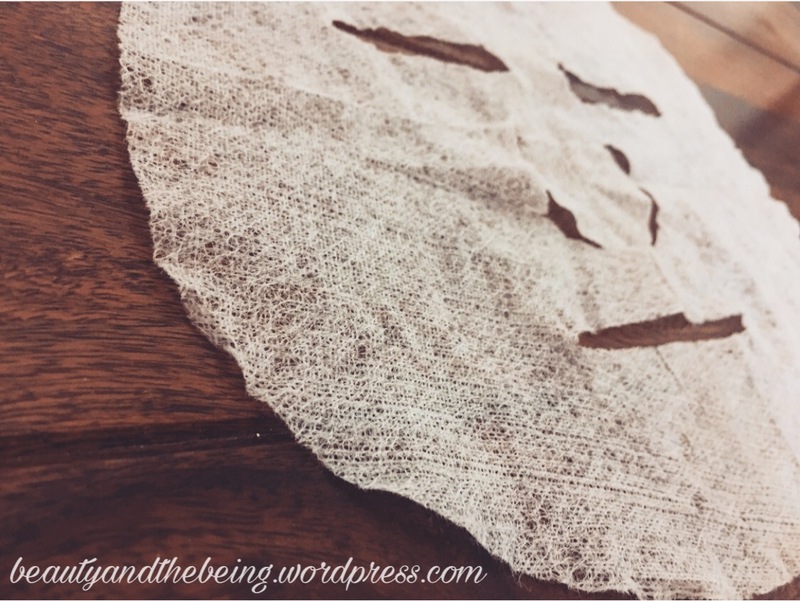 I have acne-prone skin & so anything sticky or tacky sitting on my skin really worries me. Needless to say, I washed my face after half an hour. 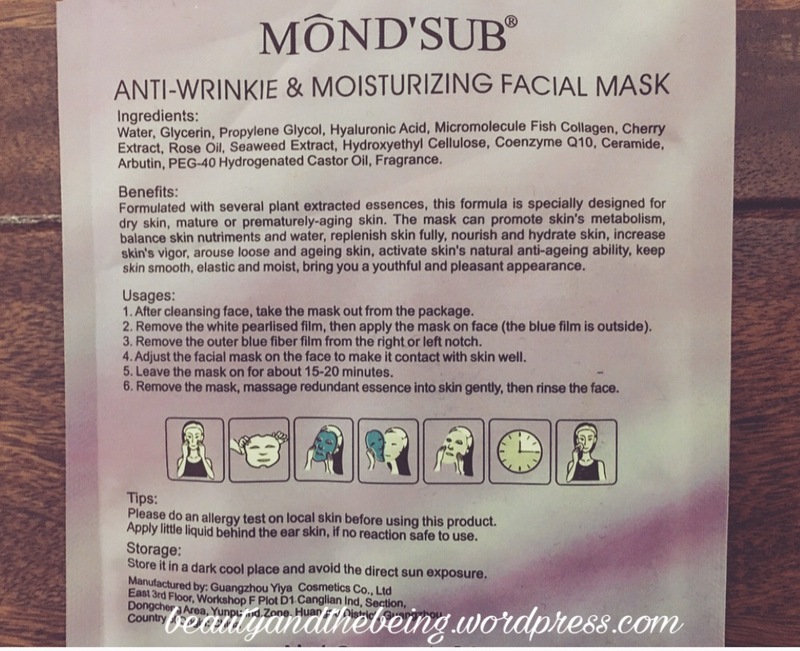 If you’re looking for a hydrating and firming sheet mask, grab this one!